On two occasions in the past week, Israeli officials at Tel Aviv’s Ben Gurion International Airport refused entry to members of Christian Peacemaker Teams (CPT) who had traveled to Israel to join the Christian Peacemaker Team in the Israeli-occupied West Bank. 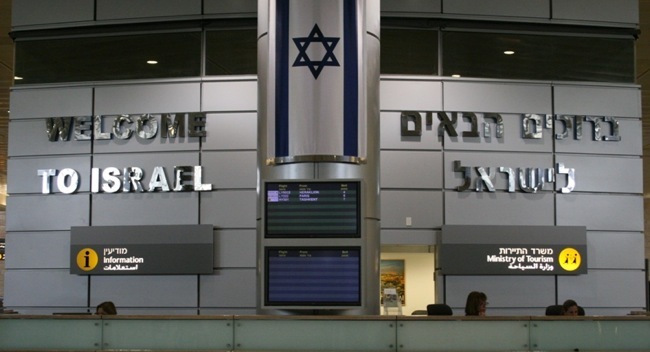 On Tuesday 2 July, Israeli authorities interrogated a CPT reservist from the Netherlands and held him in the airport for fourteen hours before placing him on a flight home. Three days later they interrogated a CPT reservist from the United States for ten hours before sending him home. Each CPTer had served in Israel-Palestine before. Both volunteers cooperated with the intensive questioning of Israeli security officials, who seemed most concerned with visas from the government of Iraqi Kurdistan stamped in both CPTers’ passports because of their past CPT work in that region. CPT’s sudden inability to get team members into the country is especially worrying given Israeli authorities’ recent ban on CPT activities near the Ibrahimi Mosque in Al-Khalil, apparently intended to halt international nonviolent protective presence in the most sensitive and volatile area of the city—one of the vital functions of CPT’s Palestine project. Since 10 May, Israel’s Border Police have prohibited CPTers from wearing their uniform, vests, and hats, and from recording the obstructions imposed on Palestinians’ daily life anywhere between the two main checkpoints that control Palestinian movement past the mosque complex, which also includes a synagogue and visitors’ center frequented by settlers. Additionally, Israeli journalist Amira Hass reported in May that Israel is now forbidding certain “tourists from the United States and other countries to enter the territories under Palestinian Authority control without a military entry permit. Israel has not clarified how it will enforce this restriction, or where and when it will facilitate permit applications. Other international human rights organizations have faced increasing Israeli access restrictions. In recent months Israel also turned back two members of Operation Dove—an Italian group working in the South Hebron Hills—at the airport. Two others received permission to visit for one week, and could not extend their visas. In response to these developments, CPT’s team in Palestine wants to initiate a quick “surge” of volunteers traveling through Israel to join its project within the next few weeks. This surge will help CPT better staff the project and uphold critical commitments both to partners in Hebron and the South Hebron Hills in this interim period of very few team members. The results of this initiative will also help CPT to ascertain whether the Israeli authorities are targeting it for removal. Make a contribution today to help CPT fund several volunteers traveling to join its Palestine team in very quick succession. CPT relies primarily on individual donations to fulfill its travel and operating costs. Your gift of $20 or more will make a difference. Write “inspired by the Palestine team” in your check memo. Share this alert with your community. If you are a CPT reservist and able to come to Israel-Palestine within the next few weeks, please contact us. A scholarship may be available to reduce your fundraising obligations.